Part-Time & Per diem positions available! Direct and provide medical care related to pregnancy or childbirth outpatients and/or inpatients. Diagnose, treat and help prevent diseases of women, particularly those affecting the reproductive system. May also provide general medical care to women. 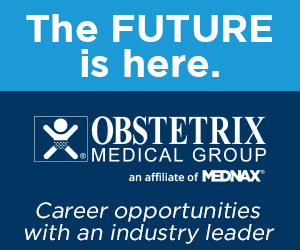 The Department of Obstetrics, Gynecology and Reproductive Sciences at the University of California San Francisco is seeking several board certified ObGyn Hospitalists at the level of Assistant, Associate or Full Professor to join the Division of Ob/Gyn & Gyn Subspecialties (OGGS) and establish a new hospitalist program at UCSF. • Attendance in OB triage: this includes the direct care of patients in triage as the primary provider and supervision of a rotating “triage team” that may include medical students, residents, fellows, CNMs and NPs. • Attendance in postpartum: this includes the direct care of our complicated postpartum patients and providing consultation to the postpartum NP and CNM team that attends to low risk postpartum patients. • Back up attendance for L&D that includes being the primary or assistant surgeon in C/S, operative vaginal delivery and spontaneous vaginal delivery. • Serving as primary or assistant surgeon on placenta accreta cases. • Cover emergency GYN cases as needed. • Participation in unit based leadership team and quality improvement initiatives. • Oversight and assurance of unit protocols, policies, and quality measures. • Opportunity to participate in unit based clinical research. The successful applicants will demonstrate an aptitude for and dedication to medical education including direct teaching and mentorship of CNMs, nurse practitioners, fellows, residents, CNM interns and medical students. Candidates must have demonstrated capability and experience in providing evidence-based and patient-centered ObGyn care and in collaborating and coordinating care in clinical teams that enhance the patient experience with a commitment to excellence in clinical care, patient safety, and patient satisfaction. 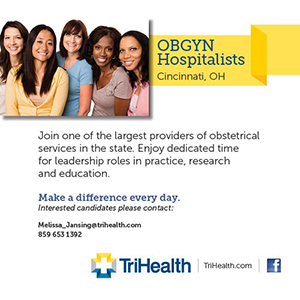 The successful candidates must hold an MD or DO degree and be board certified in Ob/Gyn. Salary and academic rank will be commensurate with experience and achievements. The Permanente Medical Group, Inc (TPMG) is one of the largest medical groups in the nation with over 9,000 physicians, 22 medical centers, numerous clinics throughout Northern and Central California and a 70-year tradition of providing quality medical care. Hospitalists will care for patients in ED, Labor and Delivery/postpartum, and cross-cover for all hospitalized OB/GYN patients. Shifts will be 12 hours. Each hospitalist is expected to cover both day and night shifts equally. Seeking an additional Ob Hospitalist for our team at Hoag Hospital in Newport Beach, CA. The hospital has in-house anesthesia, 28 LDRP rooms, 3 cesarean section rooms, a 4-bed OB ED, a 3-bed OB Triage, a 14-bed Antepartun Unit, a 21-bed level III NICU and a full electronic medical record system. In addition to our affiliated MFMs, there are neonatologists and full pediatric subspecialty support. . Responsibilities will include delivery attendance, OB triage, patient evaluation and management, surgical assists, fetal monitoring and ER coverage. There are two hospitalists in-house 24/7. Our ideal candidate will have an active CA license. With eight miles of beach-front and the sophistication of a picturesque Southern California community, Newport Beach has plenty to offer. There are outstanding shops, restaurants and an abundance of cultural and recreational activities. The Department of Obstetrics and Gynecology is recruiting faculty at the Assistant, Associate, or full Professor Level in the Health Sciences Clinical Professor Series for the OB/GYN Hospitalist Program. Responsibilities include teaching medical students and resident physicians, providing care to unassigned patients, assisting community physicians and responding to obstetric and gynecologic emergencies. Requirements: Candidates must possess an M.D. 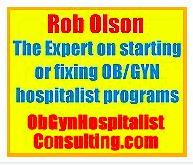 degree (California licensure preferred) and American Board of Obstetrics and Gynecology eligible or certified. A demonstrated career focus in obstetrics is recommended. The successful candidate must practice up-to-date evidence-based medicine, have strong interpersonal skills, and express an interest in patient safety and system-wide improvements. Knowledge of standard obstetrics and gynecology hospital policies and protocols is preferred. The Department of Obstetrics and Gynecology at the University of California, Irvine School of Medicine is seeking a full-time faculty at the Associate or full Professor level in the Health Sciences Clinical Series to serve as the Director for the Division of General Obstetrics and Gynecology. The Division of General Obstetrics and Gynecology provides the full spectrum of Women’s Reproductive Health Care including low-risk obstetrics, ambulatory gynecology, and benign gynecologic surgery, as well as supervise residents and medical students in the only academic medical school in Orange County, California. The Director will be responsible for strategic planning, particularly within the scope of growing the minimally invasive surgical program, developing quality improvement/patient safety initiatives, and the overall financial management of the Division. The ideal candidate will have a proven track record of successful leadership at the division or program level, is an effective communicator and creative thinker, and demonstrated mentorship and career development of junior faculty, fellows, residents, and/or medical students. The Director will promote and actively participate in both the research and education missions of the division and provide mentorship to junior faculty and trainees in these areas. Candidates must possess an MD, California medical license (at time of start date), and be American Board of Obstetrics and Gynecology certified. TeamHealth has an excellent opportunity for a full-time physician to join our OB/Gyn Hospitalist team at Mercy Medical Center in Merced, California. Put the passion back into your practice lifestyle by taking control of your time. Full-time entails only providing seven to eight 24-hour in-house shifts per month. We ask that you be board certified with superior communication skills, demonstrated record of clinical excellence and a focus on providing quality care while placing the patient above all other considerations. We also ask that you have active and current skills in the full breadth of the OB/Gyn specialty in addition to a current California license to practice. Other requirements include a willingness to drive patient safety and quality initiatives as required by the TeamHealth Patient Safety Organization and at least 3 years of active practice experience. The Department of Obstetrics and Gynecology at the University of California, Irvine invites applications for its OB/GYN Hospitalist Fellowship Program to begin on July 1, 2018. This program is a one year fellowship designed to provide high quality, advanced education in hospital-based obstetrics and gynecology. It provides a strong blend of clinical, surgical and health care systems training in both academic and community-based hospital settings. This fellowship is also designed for physicians specifically interested in gaining skills to become a leader in hospital medicine. 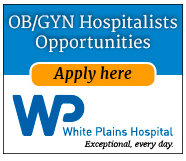 Requirements: Candidate must have completed an accredited 4 year residency in Obstetrics and Gynecology. Fellows will be required to have a California license, in addition to being ABOG Board Eligible or Board Certified. To be considered for an interview, please submit your resume and cover letter to Katherine Bacca at [email protected]. TeamHealth has an excellent opportunity for a part-time bilingual Physician to join our OB/Gyn Hospitalist team at Antelope Valley Hospital in Lancaster, California. 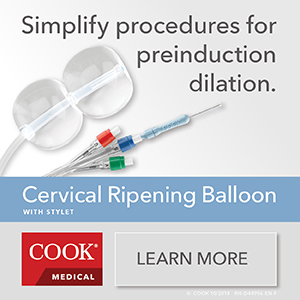 Enjoy working with an established, friendly high-caliber team of clinicians. This is a clinic position with 10 hours per week, over 2 to 3 weekdays, which entails providing outpatient care only, and high acuity prenatal with some postpartum care. 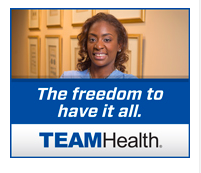 TeamHealth offers competitive pay plus paid professional liability insurance with tail coverage. 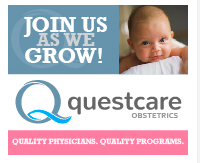 We ask that you be Board Certified in OB/Gyn, able to demonstrate clinical excellence with superior communication skills, and a focus on providing quality care placing the patient above all other considerations. Other qualifications also include current skills in the full breadth of the OB/GYN specialty, a current California license to practice, at least 3 years of active practice and a successful record of accomplishment.